Comfort zones are overrated. They make you lazy. Continuing our tradition of recommending Melina Marchetta to everyone, Saving Francesca is one of the best coming of age novels I’ve read. Marchetta just nails so much about the experience of growing up, but is never cloying or trite. We all love these flawed, compelling Australian teens and consider it a must-read, along with The Piper’s Son, the companion novel. My love for both of Stephanie Perkin’s young adult romances knows no bounds, and I have a hard time deciding is Anna or Lola is my favorite (right now it’s Anna because I just reread and fell in love all over again). But I’m recommending Lola because I suspect from Sarah’s preferences that she likes characters that are a smidgen challenging—and Lola has that quality in spades. Cricket, the boy next door, is quirky and charming and nerdy and it all just works. “You look beautiful,” says Russ. And it’s the simple sentence that you think will mean nothing, because maybe your mom has said it to you a thousand times, or your best friend says it when your’re having insecure moment about your outfit. But it’s not like that—it’s completely different when a guy says it. I didn’t know that until this moment, because it’s the first time a guy has ever said it to me. Three words just gave me goose bumps, and I feel like a girly girl for a second. 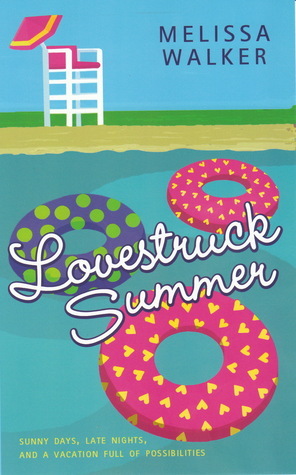 Melissa Walker’s Lovestruck Summer is one of those, “I know I just read you, but I think this might be true love,” sort of books. It’s usually missing from “new adult” novel lists, but it definitely fits all the criteria. It takes place over a summer in Austin in which the main character (a music-obsessed recent high school grad) lives with her college-age cousin near the University of Texas campus and experiences her first taste of real independence. It’s witty and sweet and a perfect summer read. Can you tell I’m in love? Help us out! What would you recommend to someone who loves coming of age stories and mid-century settings? I was thinking Judy Blundell, but none of us have read her books.